Patch 7.5 is shaping up to be yet another high mobility patch with champions like Ahri, Ezreal, and Graves topping the charts. Peel heavy supports are extremely valuable this patch for their ability to support their kiting overlords, and Lulu has been selected as the professional jewel. Ahri [God Tier Mid] - After nerfs to Leblanc and Ryze, more professional level players have brought back Ahri into the mix. As you might know from the solo queue tier list, Ahri happens to be an extremely mobile mage with excellent damage on low cooldowns. As a result, she's rapidly climbed back into the #1 most played mid laner spot again. Ezreal [God Tier Marksman] - Ezreal is currently the most popular marksman as a result of his extremely safe laning phase and extremely satisfying burst damage. This combined with the lethality nerfs mean that he's back in the fray. 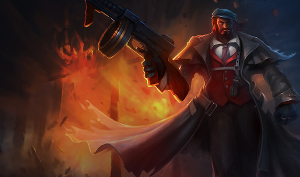 Graves [God Tier Jungle] - Despite the nerfs to lethality this patch, Graves remains an extremely powerful jungle pick. His insanely high burst damage allows him to instantly delete a champion to initiate fights via AOE, and he is very difficult to kill once he picks up Edge of Night and Phantom Dancer. Kassadin [Tier 1 Mid] - Kassadin has not caught on in the pro scene yet, but with Apdo playing Kassadin non-stop lately, it seems like it's only a matter of time before pros start using him in their games as well. Kindred [Tier 2 Jungle] - Kindred's latest buffs give them a new spark of life in the jungle. The new marks allow her to snowball much harder, and don't stagnate her nearly as much if she's choked off from key objectives for long periods of time. Kog'maw [Tier 1 Marksman] - Although Kog'maw still hasn't caught on in the professional scene yet, several popular streamers are picking him up for his incredible damage potential. With the nerfs to the lethality marksmen, he's definitely up and coming. Lucian [Tier 1 Marksman] - Lucian's late game was greatly amplified by his latest buffs, resulting in a smoother, flashier marksman. Lulu [God Tier Support] - Lulu is the new crown jewel support of the professional scene. Her ability to peel against the mass of assassins that populate the rift is highly prized. However, unlike Janna, she can also play as an extremely aggressive laner. Maokai [Tier 1 Top Lane] - Ever since the nerfs last patch, Maokai is rapidly dropping out of favor and will likely fall back down to a never played status until the next round of tank buffs. Talon [Tier 1 Top Lane] - Meanwhile, Talon top is still on the rise as he does surprisingly well against the most popular top laners, including Maokai, Riven, and Fiora.